Home Universe Destiny 2 – What Are Warminds? Destiny 2 – What Are Warminds? Since the only information we have so far, which is a leak based on a post on the Destiny Subreddit, points to the next Destiny 2 expansion being Destiny 2: Gods of Mars we thought we’d explore a key concept of that potential leak, Warminds. If you don’t know what I’m talking about then please read our info on the potential details for the second Destiny 2 expansion here. Otherwise you may or may not understand what a Warmind is, why they’re important to the Destiny universe, and what is so important about their roles in keeping Guardians alive. Let’s dive in. A Warmind is a complex artificial intelligence built for strategic warfare purposes. They are so incredibly vast and complex that not even the Vex, a race of alien machines who make it their mission to predict everything ever that could have possibly been in the universe, cannot accurately anticipate them. Warminds were built in the Golden Age before the Collapse, before The Darkness came and tried to wipe out all life in our system. They work through a network of hardened military installations on planets around the system as well as Warsats in order to coordinate and monitor the defence of the entire Solar System. In Destiny 1 we meet what is known to be the only surviving Warmind on the system, Rasputin. We even go so far as to get inside Rasputin and fight The Fallen and The Taken who have attempted to take it down. 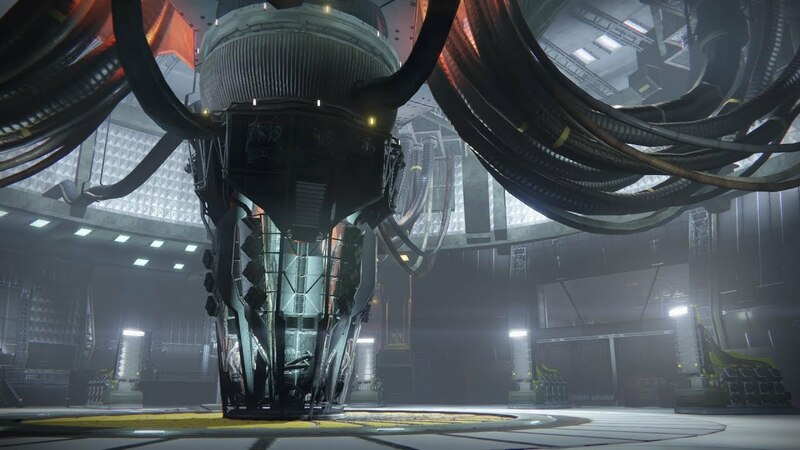 This was done inside Rasputin’s Warmind Vault, a huge underground bunker that’s locked behind a heavy door and contains everything that a Warmind is in various servers and other pieces of machinery. There are several empty but fully functioning vaults around the system, so the question some have is; is Rasputin the only Warmind to survive the Collapse? Rasputin is currently stuck on Earth in the Cosmodrome but has access to some off-world installations thanks to the reactivation of the Terrestrial Complex Array, a large satellite array on Earth. However, we know that another Warmind, Charlemagne, was meant to appear in the Destiny 1 story but was cut. There’s even supposed to be a Charlemagne Vault on Mars, which the Destiny 2 second expansion leak said is where the Warmind is holding up. Two Warminds would be far better than one at defending our system that’s currently being battered by four different alien races, not to mention The Darkness whenever that decides to show up. But if the leak for Destiny 2: Gods of Mars is to be believed then the only surviving Warminds will be battling each other. A theory I have around this is that Charlemagne is corrupted by The Darkness, and is supposed to be a distraction so that the forces of The Darkness can sneak in and attack the Traveller. Let us know what you think in the comments. Next articleIs Last Hope The Best Sidearm For Destiny 2 PVP?